Basketball players rely on their gear as well as their uniform to enable the best game possible that they can physically play. Every ball player, from a Chicago Bull's schoolyard amateur fan to seasoned NBA all-stars, depend on attire or team merchandise that will assist their efforts and allow their body to act without restrictive resistance. Apart from the necessities, ball players need to look slick and carry an air of confidence on the court. So, when it's time to ball and you need an extra layer, the best basketball players utilize a basketball jacket. The best basketball jackets of 2017 (ranked below) will get you to the court in style and through the game without being soaked in sweat and allow you to show off in style. Like most sports, basketball attire has transformed throughout the history of the game, paralleled by the mainstream progression of basketball as an officially recognized sport. Before the 1900s, basketball uniforms did not exist outside of general athletic attire. Once the game came into the mainstream and became a more popular sport, basketball teams and players began to market specific athletic fashion brands, through the use of specially designed uniforms, which became the standard styles of basketball uniforms. The standard basketball uniform includes a basketball jersey, shorts, sneakers, and a basketball jacket over the top. The player’s basketball jersey and basketball jacket will commonly feature the name and player number displayed on the front and back of the two uniform pieces. Usually, teams which are playing on their home court wear light colored uniforms, while the visiting team wears dark colored uniforms. Teams will often have two uniforms: One for away games, and one for home games. Just about every professional athlete uses a top layer to their uniform in the form of a jacket. Swimmers use big, puffy coats, boxers use robes, and basketball players use flexible jackets. 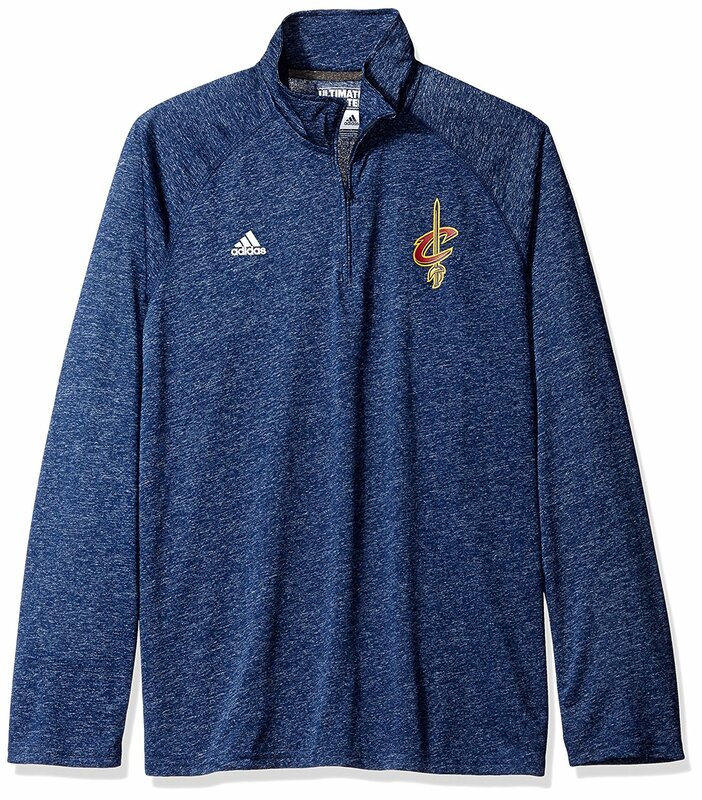 Basketball jackets are slightly different than some other athletic over layers because they are meant to be played in. Like some other outdoor athletic activities which can be played in the cold, basketball is a high aerobic activity, which causes one's body to rise in temperature and increase one's heart rate. The result is perspiration. Working up a sweat in cold weather is dangerous for one's health. Imagine jumping into a frozen lake in the middle of winter. Any moisture, which cannot evaporate away from one's body, will get very cold and act to lower one's body temperature to dangerously low levels. For this reason, the materials used and the design of the best basketball jackets, assist a player's game through specifically manufactured and athletically beneficial features. Basketball requires a high level of flexibility on the part of the ball players. Cold weather can cause one’s muscles to get tight and cramp up as the body tries to warm itself. Being rigid on the court is a sure way to get the medal for “least valuable player.” By warming one's core, the extremities are able to stay limber and physically ready for activity. Most of the top basketball jackets for 2017 are made from a synthetic material, polyester, or a blend. The benefit of these materials is the breath ability, elemental resistance, and mobility of the fabric. A good test for determining the best basketball jacket’s mobility and fit is to zip up the jacket while wearing it and lift your arm above your head with your hand pointing to the sky. The bottom of the jacket should not go above your waist line. When your outer layer gets in the way of your game, making you immobile on the court, the entire team suffers. There is no substitute for intuition. The uniform attire that an individual athlete chooses to use depends greatly on one's own playing style. A jacket should not only function well, but it also should feel comfortable. Test out articles of clothing of differing fabric materials. Nylon will conform to the body differently than silk and polyester will feel different on one's skin than that of elastane. If you are someone who does not like athletic clothing which fits skin tight, look for a basketball jacket with a standard fit, opposed to an athletic fit. One of the key beneficial features of any active wear is that of breath ability. When your body sweats during physical activities, the layers that you wear will determine whether the moisture can evaporate out of your clothing or if it will soak into your uniform like a sponge. The lack of a breathable outer layer will result in moisture becoming trapped in your inner shirt or jersey. When this happens, you may become fatigued more easily, due to extra weight and the chilling effect of your body temperature lowering. The best basketball jackets are made from with breathable materials and design, which often incorporate ventilation features in the armpits. Wind-resistant materials can be very beneficial when playing basketball outdoors; however, without a layer for ventilation underneath, weather-treated material can act like an oven. Waterproofing is a process of treating a material with a synthetic spray, which coats the article in a protective barrier to the elements. Moisture will not be absorbed into the fabric and will often resist penetration from the outside air. Weather resistance can be very useful, but be sure that it has been integrated into a design which already accounts for breath ability. 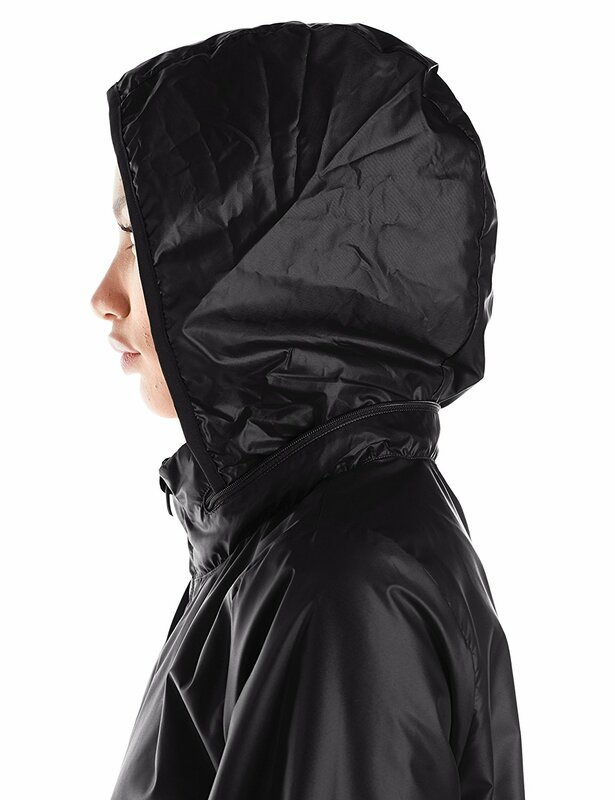 For layers on top, basketball jackets are made to provide minor insulation with a maximum amount of breath ability and moderate weather resistance.